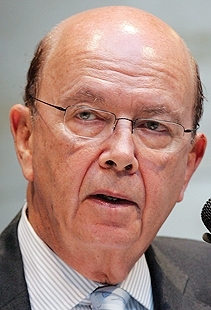 DETROIT -- International Automotive Components Group is partially offsetting a dismal year by picking up business from troubled rivals, IAC owner Wilbur Ross told Automotive News today. I dont pretend we havent been hurt, he said here on the sidelines of the auto show. We have been hurt. Ross acknowledged that IAC wont make money this year. But the supplier has added around $300 million in new business over the past six months by picking up contracts from other, bankrupt suppliers, he said. James Kamsickas, president of IACs American and Asian operations, said the business came from bankrupt interiors and plastics companies such as Blue Water, Progressive and Cadence. Over the Christmas holidays, for example, IAC used more than 35 full semitrailer trucks to take 65 tools and dies from a failed rival and distribute the equipment to IAC factories, which then began making the parts. Helping automakers make a smooth transition to an IAC factory has been critical to winning the business. Weve yet to interrupt a production line at an automakers factory, Kamsickas said. The added revenue doesnt come close to offsetting the volume lost from the industrys sales drop, he said. Volumes at the suppliers Detroit 3 customers are down 40 percent to 60 percent, Kamsickas said. To help cope, IACs top managers took a 4 percent pay cut effective Jan. 1. In addition, Ross said, last year we infused more capital into the company and probably will infuse more capital again this year. IAC, which was created in 2005, has bought the interiors assets of Lear Corp. and combined them with select assets of the defunct Collins & Aikman Corp. Ross also has purchased niche players in Brazil and Japan. IAC, of New York, ranks No. 31 on the Automotive News list of the top 100 global suppliers, with worldwide sales to automakers of $5.31 billion in 2007.